For this post, I have put together a collection of the best architectural scales currently available. The following architect rulers use quality materials, typically lightweight aluminum or high strength plastic. Obviously the plastic scales are more affordable but are more prone to chipping and wear compared with the aluminum rulers. I am sure you will find the best architectural scale below to suit all your measuring needs. 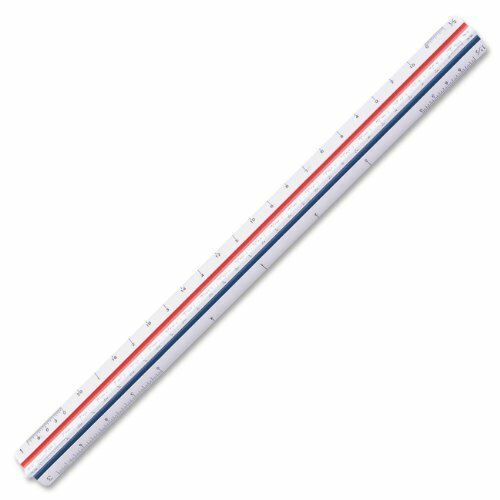 Also if you need help reading an architect ruler, I have included a video at the bottom of this post. So here is my list of The Top 5 Architectural Scales (Architect Ruler). Printed white graduations and color inlaid furrows. Rugged, professional quality scale made from anodized aluminum with a solid core. Sharp easy-to-read graduations resist wear. I hope this list has been helpful, if I left out your favorite architectural scale (architect ruler), let me know in the comments below.